Bearded irises come in a wider array of colors and patterns than just about any other flower you can think of – black, white, red, green, yellow, brown, purple. 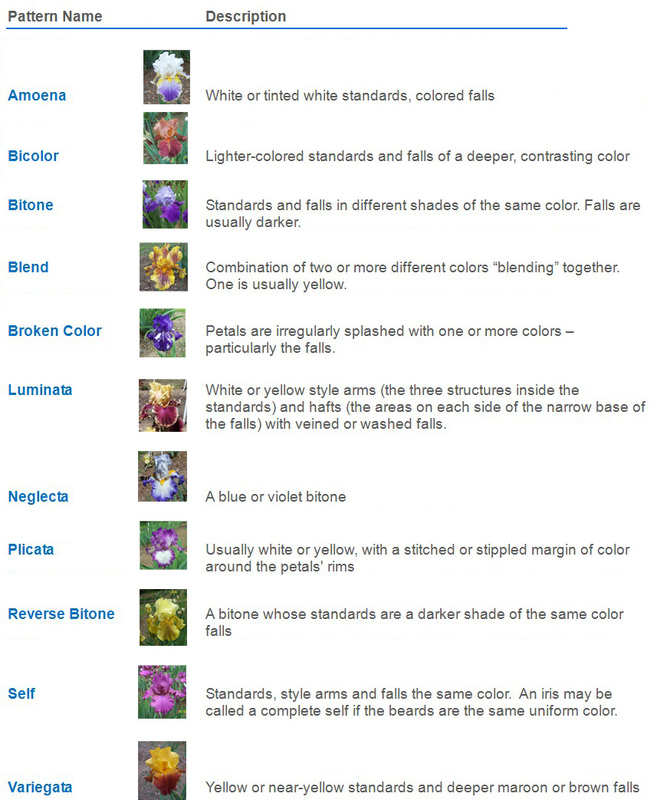 They’re all beautiful, but the color descriptions, like beauty itself, are in the eye of the beholder. Blacks are tinted with purple, reds with a touch of rust, and greens with olive or chartreuse. They also come in many different color patterns, where the top three petals (called the standards) are one color and the bottom three (the falls) are often another.